Well we have now hit the 1,000 coins in the showcase so our challenge is to get the final coins back from JB for VAM confirmation and photography. Then we take stock of things before moving ahead. The logical place for us to continue our study is of the reverse dies as we have exhausted the obverse dies for now. So in September we pick back up with this study in that area with Die d.
Die d is associated with only two VAMs, 6 and 6A. The distinguishing difference in the two VAMs is the obverse spike in the upper loop of the first 8 on VAM 6A, and the die with no spike for VAM 6. The common characteristic is the O mint mark tilted left, not a very exciting feature. This analysis is almost impossible for die cracks because we have only one mint state coin for the two VAMs, and it is a badly toned VAM 6. This Mint State example of VAM 6 shows no reverse die cracks or breaks, but it is a lone example. 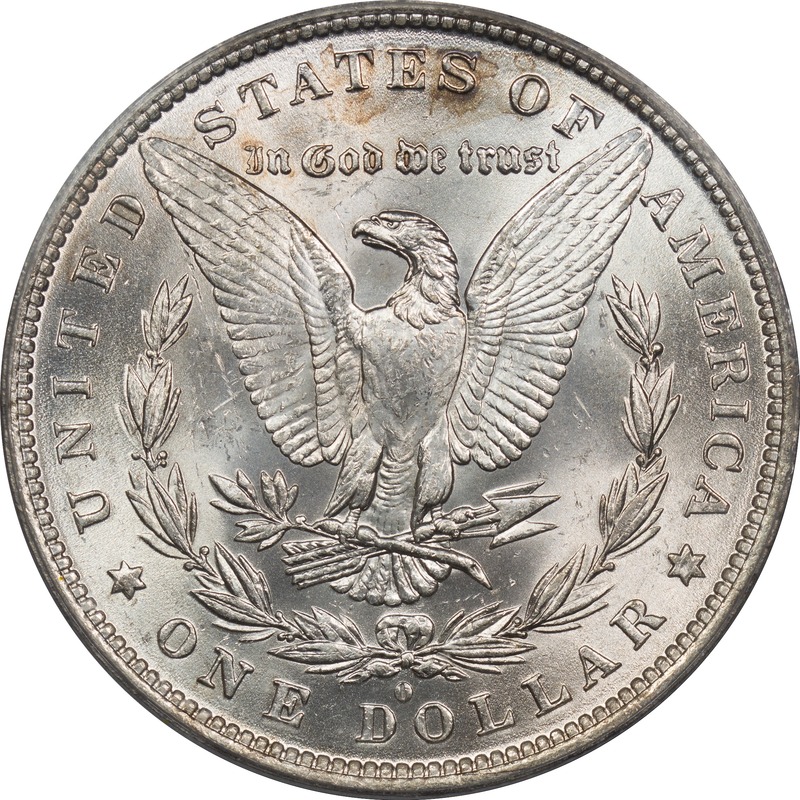 The obverse die is Die 1, but with no Spike in 8. Larger images for the VAM 6 Die Matrix are shown here. We have only two examples of VAM 6A and neither is Mint State, so conclusions about die cracks are hard to draw. We will revisit this one when we have some Mint State examples. When we look at coins that come from treasure hoards we often think of buried treasure, and that can lead us to pirates or buccaneers, and privateers. Our focus on coins can force us to overlook the reality of the life and times in which they lived. In his book Under the Black Flag, David Cordlingly does a nice job of pulling back the curtain and having us see the real world in which these men (women were the exception and not the rule) operated. Sometimes heroes, and sometimes villains, those who operated at the edge of society led rough and violent lives. The times were difficult for those who lived within the bounds of society, but for these men everything seems to have been exaggerated. When free life was violent but could also be rewarding. But when captured life was short and often dealt with brutally by the state. This is an interesting and easily read book that we think is worth the time if you have any interest in the people and wealth that often accompanied their lifestyles. With some time and a little effort a number of videos can be located on YouTube that explain the current and historical methods of coin making. We located this one and we believe posted it once before, but it is worth another look if you are new to VAMing. This appears to be from the 1940's and the process is about half way between the Morgan Dollar era and today. The video isn't entirely accurate since they use the term "die" to represent both the hub and die interchangeably, but if you have a little knowledge you can read between the lines. The video has a lot of useful demonstrations of the Janvier Lathe, annealing ovens, planchet production and preparation, rolling presses, die press, coin press. In this video many of the processes are automated, but the steps are the same as the late 1800's. It is definitely worth the ten minutes it takes to watch.